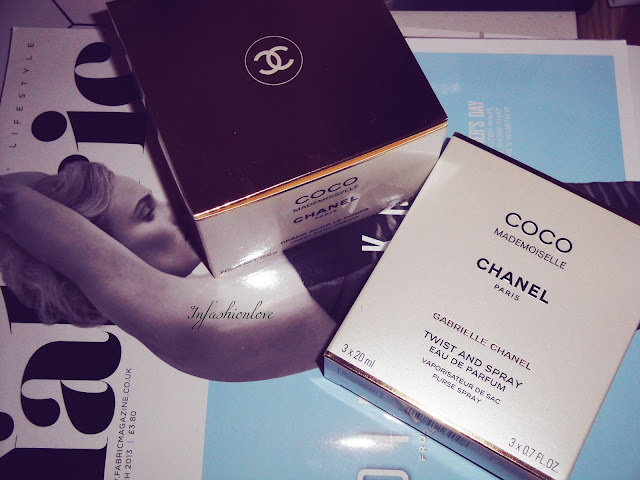 INFASHIONLOVE.COM: Chanel Coco Mademoiselle Purse Spray + Fresh Body Cream! 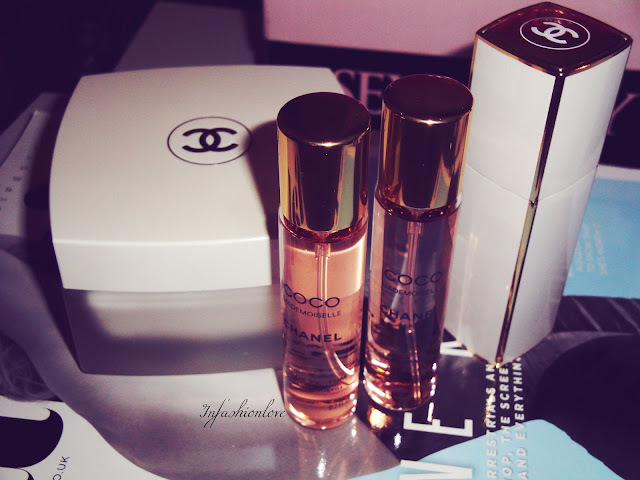 Chanel Coco Mademoiselle Purse Spray + Fresh Body Cream! I kept meaning to blog about these two for ages, it was a Christmas present in fact, so I've been enjoying this duo for a while. I used to have a full-size Coco Mademoiselle fragrance years ago, and after I finished it for some reason I didn't feel like wearing this scent for a good few years afterwards although I did love it at the time. 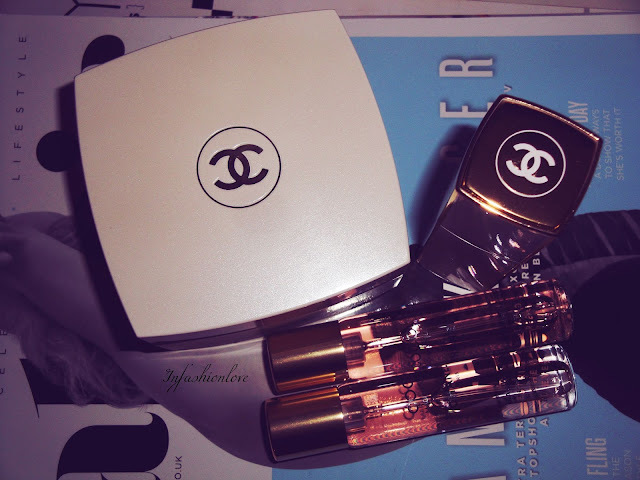 And so during last Christmas I have united with Coco Mademoiselle again. It's a gorgeous Spring/Summer scent, very pretty and fresh. Some of the notes are: orange blossom, bergamot, mimosa, jasmine, ylang-ylang, patchouli, vetiver and white musk. Of course the packaging is very luxurious in a typical Gabrielle Chanel fashion. The Purse Spray is a chic twist bottle already loaded with a refill plus two new refills 20 ml each, so you get a full-size fragrance amount! I also love keeping the big elegant glass jar of the Fresh Body Cream as part of décor on my night-stand. Layering these two after a nice bath makes the scent last even longer.